There are tons of benefits that go hand-in-hand with an INFINITI QX80 lease. If this is something that interests you, visit a reputable dealership near Estelle, LA. There, you’ll receive excellent service from a seasoned salesperson and all the support you need to complete the leasing process from a skilled financial expert. One of the many advantages of an INFINITI QX80 lease is having the opportunity to drive a new model. Especially if you need a large SUV to accommodate your growing family, you’ll have plenty of interior space and beautiful exterior styling. Not only is this vehicle designed with high-end materials, including leather seats and genuine wood trim, but it also provides a smooth and comfortable ride. As your lease agreement comes to an end, you can swap out the current SUV you drive for yet another new model. All you have to do is revisit the same dealership near Estelle, LA, select the same or a different automobile, and continue enjoying all the latest and most innovative features available. That means that every two to three years, you have a completely new vehicle to drive. Something else to consider is that by doing business with the right dealership close to Estelle, LA, there’s an excellent chance that you won’t have to put any money down. Unlike buying a car where you either need a down payment or a trade-in, when you lease, you simply complete all the necessary paperwork and then drive away. Another financial advantage of a 2019 INFINITI QX80 lease is that you’ll have lower monthly payments. Depending on your situation, spending less each month might allow you to select the top-of-the-line trim. Otherwise, you would need to stick with one of the lower trim levels. In other words, paying less each month allows you to afford to drive a more expensive vehicle. With so many reasons for choosing an INFINITI QX80 lease, at least look into this option before you buy. Your salesperson and a financial expert can go over all the details to help you make the best decision for your specific needs. 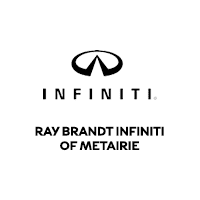 Ray Brandt INFINITI, located in Metairie, not far from Estelle, LA, dedicates itself to providing stellar service to everyone. You’ll find an impressive inventory, affordable prices, and a team eager to serve you as a valued customer. Call or stop by today.